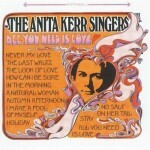 The Anita Kerr singers are among the most heard, and least known-by-name, vocal group in the history of recording. That’s because Kerr’s group was the go-to backing group (along with the Jordanaires) for hundreds of sessions during the Nashville Sound era of the early ‘60s. They appeared almost constantly on the charts backing top country hits by Jim Reeves, Ernest Tubb, Faron Young, Brenda Lee, pop records by Pat Boone, Perry Como, Bobby Vinton and many, many others. Alongside their choral work, the group recorded several albums for RCA, including the Grammy winning We Dig Mancini. In the mid-60s Kerr disbanded the Nashville edition of her group, convened a new edition in Los Angeles, and commenced recording for Warner Brothers. 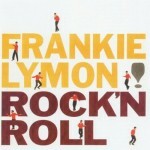 This is the group’s fourth, and last album for the label, and was originally issued in the flower-power year of 1967. 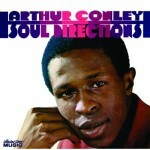 Southern soul singer Arthur Conley is known to most for his perfect celebration, “Sweet Soul Music.” Based on a “Yeah Man” by his vocal inspiration, Sam Cooke, and co-written with his mentor, Otis Redding, the song topped out in 1967 at #2 on both the Hot 100 and R&B charts and became the lasting emblem of the ‘60s soul movement. But like so many true artists that have one defining single, Conley recorded terrific material both before and after the lightning strike. 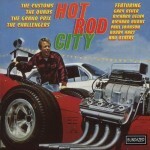 This 1968 album was a bittersweet affair that collected singles and album sides recorded just months after the airplane crash that killed Redding and the Mar-Keys. In contrast to the three 1966 releases in this collection (Signe’s Farewell, Grace’s Debut and We Have Ignition), this 1968 set finds the Airplane a great deal farther along. By 1968 the classic six-piece Airplane formation had released Surrealistic Pillow and After Bathing at Baxters in 1967, and were about to embark on recording Crown of Creation. 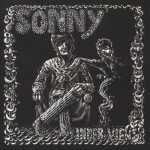 Their performance includes tracks from all three of their released albums (including “It’s No Secret” and a rare performance of “Blues from an Airplane” from Takes Off), a pair of tracks from the upcoming sessions (“Share a Little Joke” and “Ice Cream Phoenix,” the latter still a jam at this point, and each their only known live performance), two covers that had long been in their live set (Fred Neil’s “The Other Side of Life” and Donovan’s “Fat Angel”), and their last known live performance of Leiber & Stoller “Kansas City,” turned into a superb blues jam by Jorma Kaukonen. The show was something of a homecoming as the Airplane returned to the club where they’d debuted (albeit with a somewhat different lineup) in 1965. By this point the group was internationally famous, with two albums that had cracked the Top 10 and two hit singles, each of of which are played here. They’d become international representatives of the San Francisco scene. The band remained remarkably fresh, even on material that had been in their set for years. Marty Balin sings a wonderfully emotional version of “Today,” the band plays an energetic version of “The Other Side of Life,” and the groove running through “3/5 of a Mile in 10 Seconds” pushes the vocalists to terrific heights. The latter is propelled by Jack Casady’s imaginative bass line, and features terrific 12-string figures and a blistering solo. Slick’s show piece, “White Rabbit,” is more fully formed on stage than it as two years earlier, and “Plastic Fanstastic Lover” has a memorable terrific guitar opening. Only weeks after making her debut as the new co-vocalist of the Jefferson Airplane (documented on Grace’s Debut), Grace Slick had lost the tentativeness that marked her initial appearance. In the month-and-a-half between performances, the band recorded Surrealistic Pillow (which included the Airplane studio debut of both Slick and drummer Spencer Dryden), and added mightily to their song catalog. Slick brought along the Great Society’s “Somebody to Love” and “White Rabbit,” each of which became Top 10 singles, and Balin, Kantner and Kaukonen added originals that make up the bulk of these two live sets. Altogether, seven of Surrealistic Pillow’s eleven tracks are included, and a few pieces left off the original album (Kaukonen’s “In the Morning” and Skip Spence’s “J.P.P. McStep Blues”) were still in the live set. Omitted is the show-stopping “Somebody to Love,” reported to have been played on both the 25th and 26th, but not included here. For many in the audience, this was the first time they’d heard the band’s new material, as Surrealistic Pillow wasn’t released until the following February. The songs are still very fresh, and the band takes the opportunity to try out “Plastic Fantastic Lover” and “She Has Funny Cars” several times across the multiple sets. The tape opens with the former already in progress, and the interplay between Balin and Slick is electric. These mono recordings are more primitive than the stereo tapes from October’s transitional sets (Signe’s Farewell and Grace’s Debut), but Slick’s imaginative vocalizations still shine, and the band’s playing is tight and hard. Balin and Slick push each other to great heights, both on the band’s originals and on cover songs that had become regular features of the band’s set. Though they’d played it many times before, Balin and Slick wring everything they can out of Billy Ed Wheeler’s “High Flyin’ Bird,” spurring each other higher and higher. 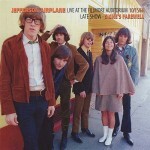 The band lightens up for the sweet vocal interlude “My Best Friend.” Written by Skip Spence (who’d since moved on to Moby Grape), it sounds more like the Grape than the Airplane. The scant applause that greets “White Rabbit” gives a sense of just how new this material was to the audience, and though the band hadn’t fully discovered how to really kill with this song in live performance, the power of Slick’s vocal still makes an incredible impression. 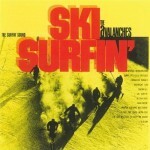 So too Balin’s searing lead on “It’s No Secret,” bolstered by terrific harmony singing from Slick. The early set ends with Kaukonen’s “She Has Funny Cars,” bringing to a close a performance that is notably short of jamming. The second set opens with extended treatments of “3/5 of a Mile in 10 Seconds” and Fred Neil’s “The Other Side of This Life,” each leaving room for instrumental play. The rest of the first night’s late set includes several of the band’s regular covers (John D. Loudermilk’s “Tobacco Road” and a dreamy take on Donovan’s “Fat Angel”), repeats of Surrealistic Pillow album tracks, and the album outtakes “In the Morning” and “J.P.P. McStep B. Blues.” The first evening closes with Jorma Kaukonen singing lead on his original blues “In the Morning.” The second disc covers the band’s late set on Sunday, joining the set opener “3/5 of a Mile in 10 Seconds” in progress, repeating songs from the opening night in different order, adding the album outtakes “Let Me In” and “Today,” and stretching out exuberantly on an off-the-cuff encore of “The Other Side of Life.” The surprise encore also offers up the one-off instrumental “My Grandfather’s Clock.” The tape transcriptions leave the inter-song continuity in place, and though the band isn’t particularly chatty, the spaces help give a sense of the show’s pacing. The second set opens slowly, crawling into the slow blues of “Tobacco Road.” Slick sounds almost transformed from the first set, wailing alongside Balin and cutting through with powerful, original vocal lines on “High Flyin’ Bird.” Kaukonen takes to the spotlight on “Kansas City,” singing lead and playing atmospheric blues guitar. His brief solo on “And I Like It” is even more powerful, and a perfect compliment to a searing vocal by Balin. The band stretches out experimentally on the ten-minute “Thing,” including a Jack Casady bass solo, and closes the set with a strong version of the soon-to-be-recorded “3/5 of a Mile in 10 Seconds.” Slick was still singing the band’s set in the shadow of Anderson’s original performances, but the strength of her vocals and the moments of originality on night number one point to the new combination’s rich future. 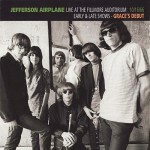 By October of 1966 the Jefferson Airplane had been together for a little over a year and had released their debut album, Takes Off. They had already become a finely-tuned live unit, and the key elements of their San Francisco Sound were almost all in place. What was yet to be added was the dynamic personality and vocals of Grace Slick, who would join the day after this live set bid farewell to the band’s original female vocalist, Signe Anderson. Anderson was officially a co-lead singer with Marty Balin, but as the band’s subsequent albums would show, she didn’t achieve the parity with Balin that Grace Slick would accomplish. It wasn’t for a lack of talent though, as her harmonizing with Balin and her lead vocal on “Chauffeur Blues” show just why she was invited to join the band in the first place. This twelve-track set presents the late show from Bill Graham’s original Fillmore Auditorium, recorded on a night that many knew was Anderson’s last. Balin says farewell as he introduces Anderson for her signature song, and the album closes with Bill Graham and the crowd giving Anderson a last round of applause before she says goodbye. The group sent her out with a powerful set that mixes covers (“Tobacco Road,” “Fat Angel,” “Midnight Hour” and “High Flyin’ Bird”), originals from their debut (“Runnin’ ‘Round This World,” “Come Up the Years” and “And I Like It”), and originals that were yet to be recorded in the studio (“3/5 of a Mile in 10 Seconds” and “Go to Her”). The set shows how easily the band moved back and forth between the concise arrangements of their debut album and the lengthy jams that defined the San Francisco ballroom scene. Opening with the 9-minute improvisational “Jam,” the live Airplane immediately proved themselves a different band than the one who’d dropped their debut album two months earlier. 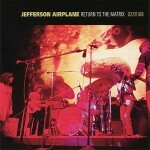 The folk roots of their first studio work were replaced on stage by harder electric psychedelia, evident in their conversion of “High Flyin’ Bird” from sultry folk-rock to an electric blues-rock wail. The addition of Grace Slick the following night (and the material she’d bring from the Great Society) would further change the band, but you can already hear the evolution in progress here, particularly in the freedom of Balin’s vocals and the instrumental explorations of Jorma Kaukonen and Jack Casady. Collectors’ Choice documents the band’s full transition with the following night’s set (Grace’s Debut) and a set recorded six weeks later (We Have Ignition), right after the band had waxed Surrealistic Pillow.